Meli is another one of my instant Instagram friends! I found her while searching the Her Universe hashtag "Flaunt Your World", she had the most adorable pic of her in the 10th Doctor dress! Dressed as 10? You are already my FAVE! Then I checked out her blog and we have SO MUCH in common! I am so happy to share her with you & I cannot wait to meet this awesome nerdy girlie at SDCC this July! Meli runs a geeky fashion/lifestyle blog, Melificent.com, out of Miami, FL where she lives with her husband and two adorable Boston Terriers. She also just recently launched a YouTube channel, The Fangirl Diaries, with her best friend, Elsie, where they aim to change the perception of the term, "fangirl," all while sipping on themed fandom cocktails. She loves live music, the beach, meeting new people, crafting, bright colors & anything sparkly. Meli: I noticed at a very early age that I was "into" things a little more than the average child. My first memory of nerding out over something was in Kindergarten when I became hooked on the original My Little Pony. My mom would record every episode (on VHS, of course) so that I could have it ready to watch when I would come back from school and my grandfather would buy me a new pony every week. It's weird, I know, but I remember feeling a sense of serenity and pure happiness as I would watch the show or look at my Pony collection. I guess I never really grew out of that. I enjoy the escape from my frequently hectic life that all my fandoms provide me. The Nerdy Girlie: How and why did you start blogging? Meli: I started "blogging" (and I use that term loosely) when I was about 18 using a site called Livejournal. It was basically an online diary where you could give certain people access to see your posts by searching via interests/location/etc. I became kind of obsessed with sharing my life on the Internet (filtered, of course) and through it was able to meet some amazing people from around the entire world that I call some of my closest friends today. Once Livejournal lost its steam, I decided to open a more traditional blog. It first started very personal what-did-I-do today and then morphed more into a fashion blog after I decided to do a 30-day #ootd challenge. The rest, is history! 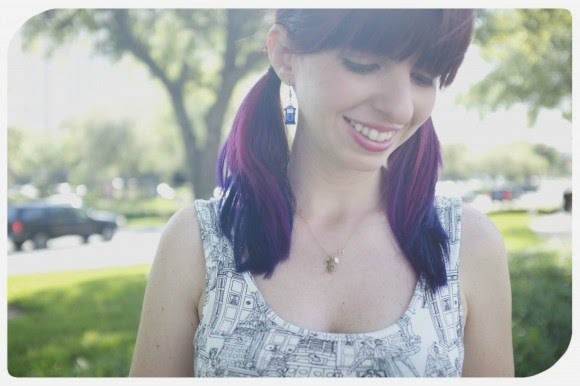 The Nerdy Girlie: YOUR favorite blog? 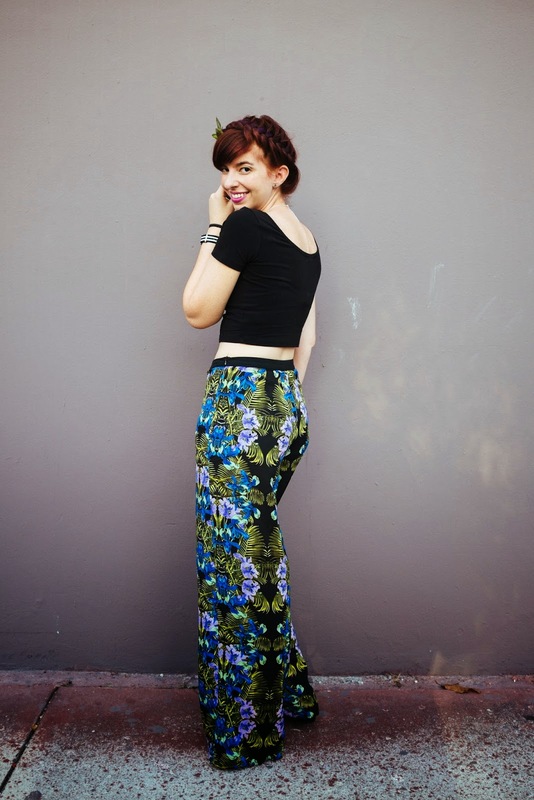 Meli: My longest standing blog crush has been Gala Darling. I absolutely love her style, self-confidence and positivity, which she labels Radical Self Love. She has such a lust for life and captures her own in such a beautiful way. She also runs the immensely popular Blogcademy, which is a workshop that helps whip your blog into shape, with two other amazing bloggers, Rock 'n Roll Bride and Nubby Twiglet! The Nerdy Girlie: What is your favorite thing/things to nerd out about? Meli: Oh man. This is a long list! I'd say my biggest fandoms are LOST, Harry Potter, Doctor Who, The Hunger Games, Sherlock and Hannibal. I'm also completely obsessed with British culture. I've been lucky enough to go to the UK twice, and can say with absolute certainty that I would move to London in a heartbeat. The Nerdy Girlie: Any tips for San Diego Comic Con? 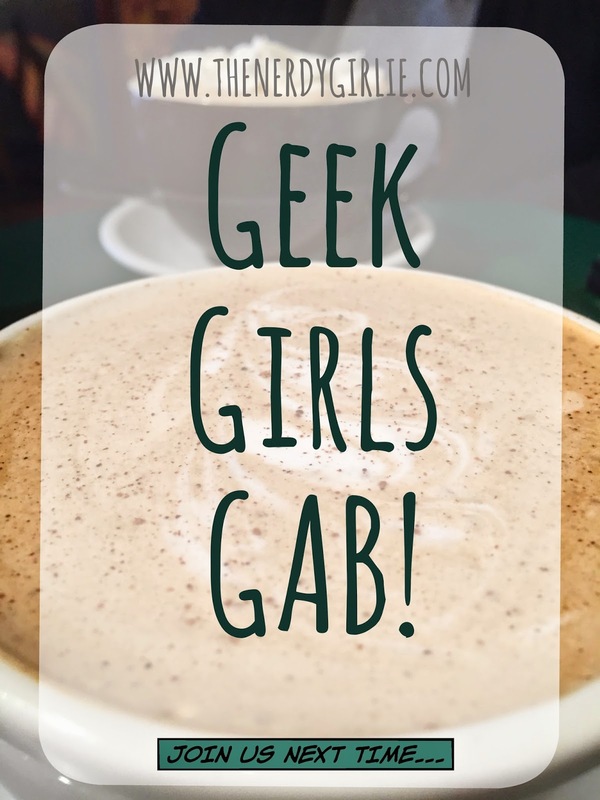 The Nerdy Girlie: Girlie things you love? You can find this amazing nerdy girlie blogging up a storm in THE cutest ootd at Melificent and on Twitter @SoMelificent. I have been watching the fangirl diaries on YouTube!!! I love those girls. So rad to see she has a blog as well. So many cute outfits on there. Can't wait to read all the posts.